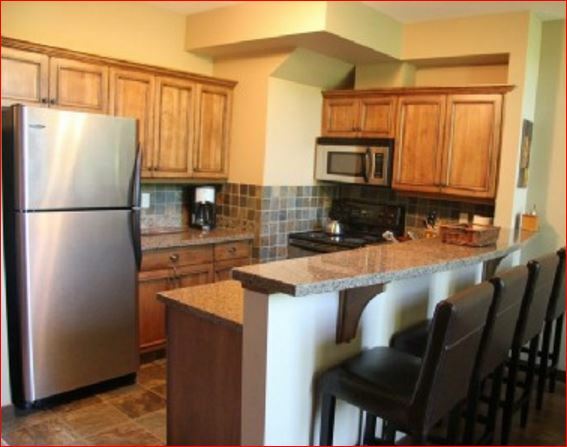 Welcome to our wonderful Sun Peaks Vacation Rental condo in the popular Stone's Throw condo complex at Sun Peaks Resort. 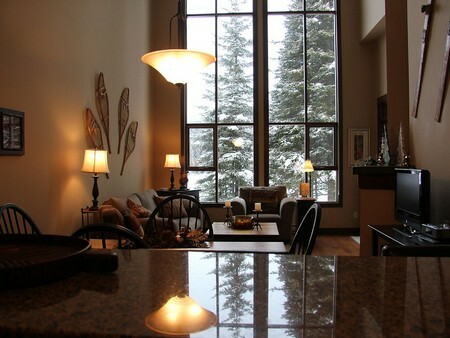 Beautiful and luxurious with spectacular views, we believe this is one of the best Sun Peaks condos in one of the best ski-in AND ski-out locations at Sun Peaks Resort, and thankfully our guests all agree. 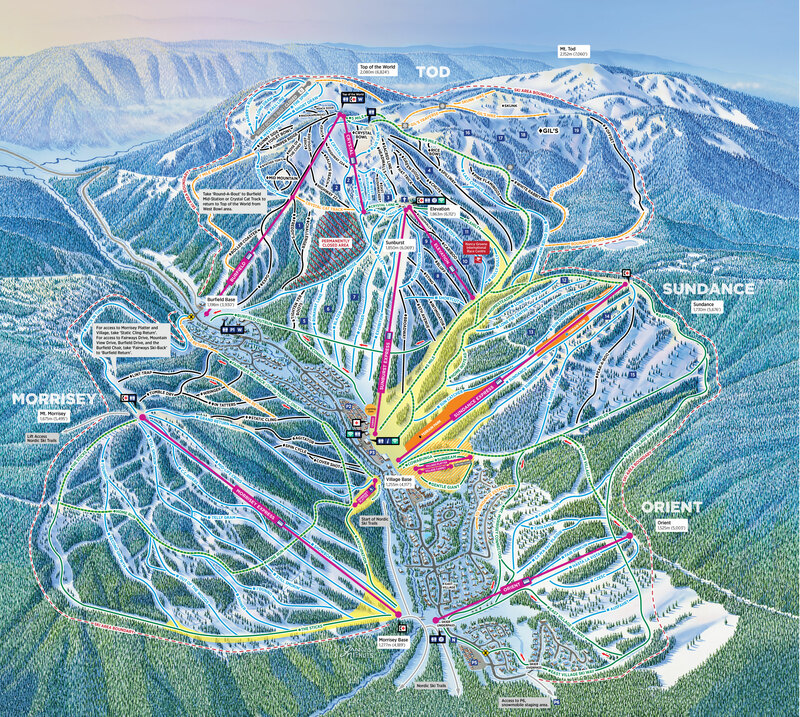 Especially after the new Orient chairlift starts turning December 2018, which will provide even easier access to Sun Peaks Village. Our two level condo offers a large, open living room with a 20 foot high vaulted ceiling, 2 comfortable bedrooms plus an upstairs private enclosed loft, 2 full bathrooms, a fully equipped and upgraded kitchen with heated slate floors and stainless steel appliances, along with amazing private views of the golf course and both Tod and Sundance Mountains, and an upper deck with a private hot tub. 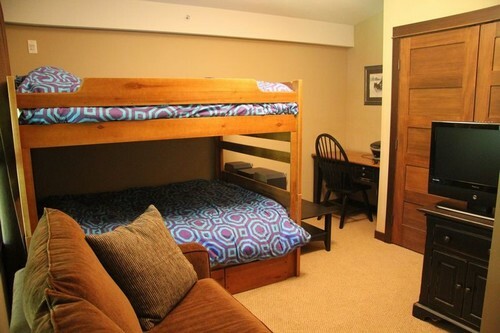 The layout of this BestSunPeaks condo is perfect for couples, families, or perhaps even two families with young children, and the upstairs loft is a huge hit with both parents and kids who love having the room to hang out and read, watch movies or play video games on the PS3 gaming system that we provide. 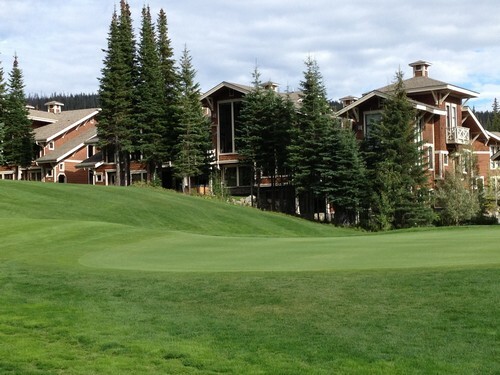 The condo backs onto the 16th fairway of the Sun Peaks Resort Golf Course, which is considered to be the highest elevation tee in British Columbia. 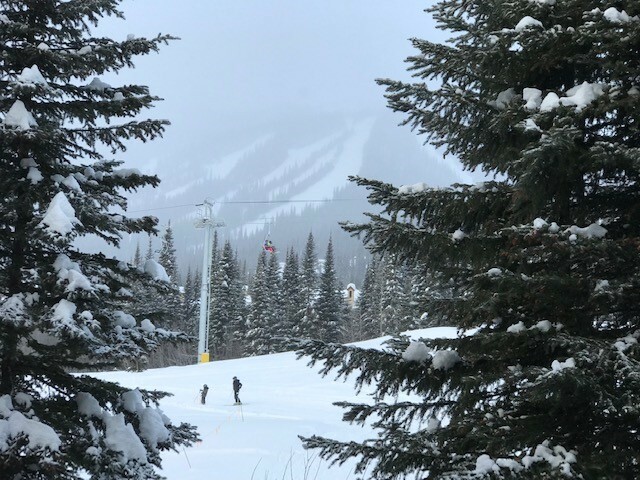 In winter, the fairway right behind our BestSunPeaks condo becomes a one minute ski down to the Morrisey Express chairlift that will whisk you up Mt. Morrisey to begin your day on the slopes or to the new Orient Express chair. 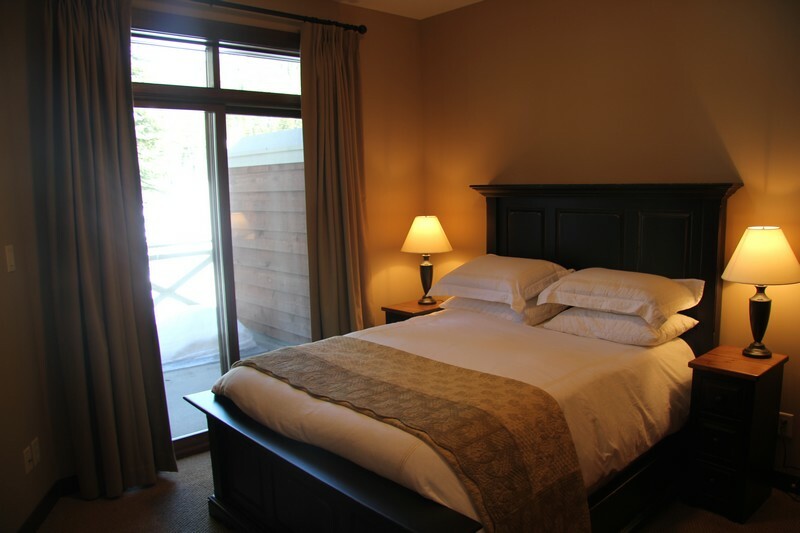 It is very affordable and is just minutes away from the quaint, European style Sun Peaks village, and includes 2 reserved parking spots in the heated, underground parking area (one Stone's Throw garage door is 6'8", and the other door is 7'6" - plenty of room for most vehicles, including trucks/SUV's with ski carriers on top). Overall, a great experience. 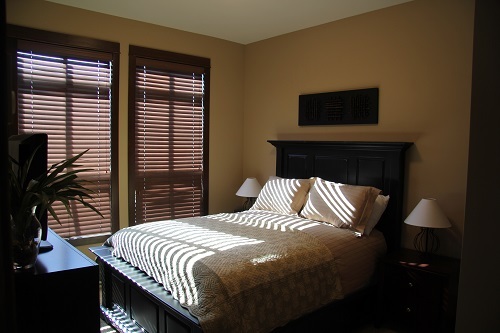 Everything is so close and convenient to our Stone's Throw BestSunPeaks condo, so you can easily park your car and not need it until your Best Sun Peaks vacation comes to an end. 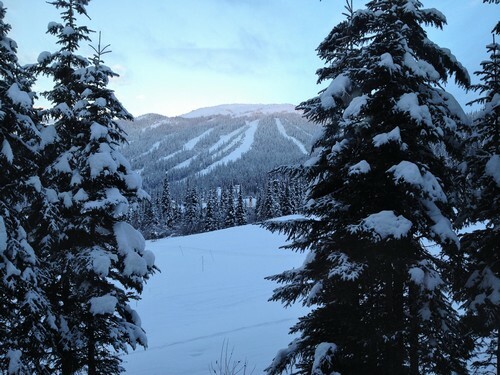 Click to see the Top 10 reasons people love our Sun Peaks condo. We do realize that you can't please all of the people all of the time, but we promise to do our very best to ensure you are happy. We have tried to think of everything that you may need, and also listen carefully and respond to the feedback from our guests. Thankfully, as a result, we have over 60, and climbing, Five Star reviews from our satisfied guests. A few excerpts follow, and full, detailed reviews can be found on our Stones Throw Condo Reviews page. - Also across the road is the Nordic skiing hut, the McGillivray Lake pathway for walking or biking, and easy-access to the Snowshoe trails. - The view from inside is equally as beautiful, with 20 foot high vaulted ceilings and windows, hardwood floors, granite counter tops, access to the private hot tub, and comfortable seating for up to 8 guests. - Or if you don't feel like cooking, you can arrange for gourmet, catered meals to be delivered and served by talented red seal chefs, or you can arrange to have your Sun Peaks groceries delivered right to your door. 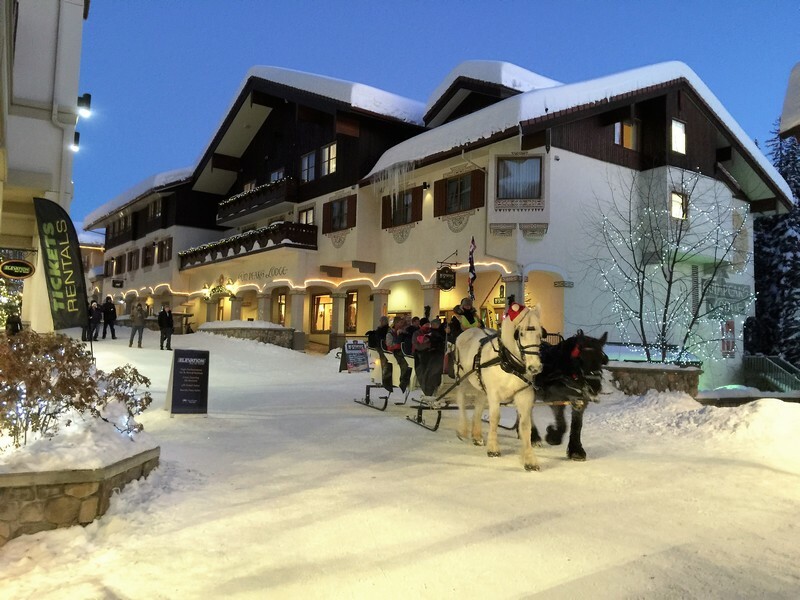 Morrisey Express or Orient for ski-out - perfect location for access to both! Our BestSunPeaks condo rates are quoted in Canadian dollars and do not include any special pricing or promotions that may be in effect. Applicable taxes will be added as well as a fully refundable $500.00 damage deposit. Guests may book direct with us (credit card via PayPal or etransfer) for best rates plus and to save the online booking fee. For an exact quote or to check for special offers and availability for our BestSunPeaks condo or other properties, please complete and submit the reservation quote form below, and we will be in touch as soon as possible. We are pleased to have our Stone's Throw condo listed on a new site called HouFY (House For You), which provides an easy to use, unique and enhanced experience to list or find vacation rental properties. It is similar to VRBO/Homeaway and Airbnb, except better since there are no booking fees or communication restrictions, which will save you 10% or more. Houfy is easy to use and you can save money on many properties around the world and book your vacation rental direct with the verified owners using this growing rental community platform. Do you need something a little bigger than our BestSunPeaks condo but equally as nice, perhaps something that could easily accommodate a large family or two smaller families? 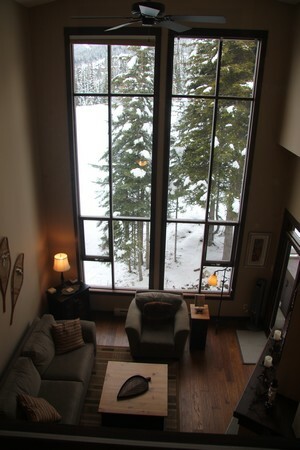 If so check out our Best Sun Peaks Townhouse in Trapper's Landing - new to the rental pool in the fall of 2016. 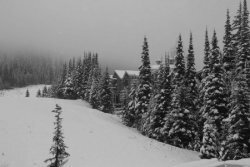 Click if your preferred dates are unavailable, or if you wish to look at other options where you can save up to 10% on dozens of other Sun Peaks rental condos, townhouses or chalets managed by Top of the Mountain.